COLLAPSIBLE CHUM BOX Miami Fishing Supply, complete selection of offshore fishing tackle, marine electronics and boat supplies. A fast and convenient way to chum for fish. 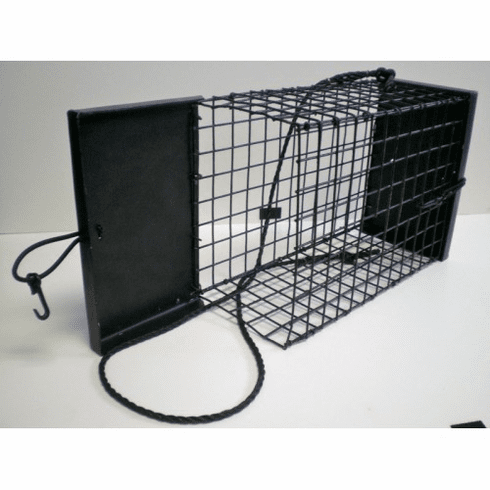 14"L X 6"D X 9"W dimensions make it usable with all types of chum. 4 gauge galvanized wire mesh construction. lds over 7 lbs. of frozen chum. Vinyl coated to resist rusting and scratching surfaces. Features a durable rope handle and is ideal for bottom fishing applications. • Allows for bottom chumming when lead weight is added to the chum box. • The wire minimizes chum loss due to sharks and other predators.